This book is available in print and ebook formats. PDF and ePub formats can be downloaded, right now, for just $4.99. While the Carnation Revolution certainly broadened Mourinho’s horizons, the family, as a whole, were to suffer somewhat and Félix [his Father] even considered uprooting to a club in Spain. For a centre-right family like the Mourinhos, it was a disconcerting period. Mourinho’s mother, Maria dos Santos, a popular primary school teacher in Setúbal, came from privileged stock. Her uncle, Mário Ledo, was one of Portugal’s leading providers of the Portuguese staple of sardines – with bases in Setúbal, Oporto, and the Algarve. Thriving under the immense patriotism and self-sufficiency ideal of the Salazar regime, Ledo was one of Setúbal’s wealthiest men. He even provided land for, and funded the building of, the Estádio Bonfim, Setúbal’s multi-purpose stadium, in 1962. In an era before excessive wages for footballers, there was no understating just how important the financial security provided by Ledo was for the Mourinho family. Rather than the playground or the school yard, the classroom was to play a major role in shaping Mourinho – which came as little surprise given Maria’s influence in enrolling her son in a private school. As young as three years of age, Mourinho had been intrigued by the morning routine of his seven-year-old sister, Teresa, readying her uniform and lunch. In fact, the school environment bred Mourinho’s early thirst for perfectionism and as early as five years of age, he would have all of his pens, crayons and rulers perfectly ordered and cased in his satchel. While this may not seem terribly revealing or prophetic, few five-year-olds are capable of consistently exhibiting these kinds of organisational and management skills. Still, given Mourinho’s love of football, it was Félix – despite often being on away trips with Vitória and later, another club, Belenenses – who had the most profound effect on Mourinho. The young Mourinho would absorb all things football from his father and, remarkably, the result of this was a three-year-old Mourinho being inconsolable after England knocked Portugal and his beloved Eusébio out of the 1966 World Cup quarter-finals. As early as four years of age, Mourinho acted as a training ground ball-boy behind Félix’s goal during Vitória’s training sessions. Buoyed, Félix believed Mourinho could follow in his footsteps and continue the Mourinho legacy in Portuguese football. The goalkeeper stressed the importance of following the national game, but with the influx of Western culture post-Salazar, Mourinho was soon to begin his love affair with the English First Division as a childhood supporter of Liverpool and an idoliser of Kevin Keegan and Kenny Dalglish. This was to coincide with Félix winning his only cap for Portugal, as a 34-year-old against Ireland in the Independence Cup in 1972. The broadening of Mourinho’s horizons, as he grew up, only increased his obsession with football and while Félix soon realised that Mourinho would not play at the highest level, he found other uses for his son outside his ballboy duties. Mourinho began to accompany Félix on away trips as his father’s playing career neared its end and, as a result, it was inevitable that Félix would utilise José when his management career took off at Rio Ave in 1981. Having graduated into management as head coach of Estrela Portalegre in 1976, Félix would spend many Monday evenings with the teenage Mourinho talking through the importance and justification of substitutions. It is a tradition that has carried on with Mourinho and his own son, José Mário Jr, in recent years. At Rio Ave, Félix asked the 19-year-old Mourinho to compile scouting dossiers, manage the Under-16s, and pass on messages to players during matches. Even though Félix rarely selected Mourinho as a player, Mourinho certainly played his part in Félix’s ground-breaking success. 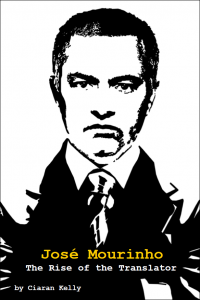 Rio Ave recorded a then club-record fifth place in 1981-82, and Mourinho was a popular figure in the dressing room. This was testament to Mourinho’s affable personality, with few dressing room concerns over favouritism regarding team selection. Baltemar Brtio, a commanding 30-year-old Brazilian defender, was among those who closely bonded with Mourinho. However, Rio Ave’s then president, José Maria Pinho, believed nepotism was in the offing and even prohibited Mourinho from being picked for an end-of-the-season clash against the champions-elect, Sporting Lisbon, in 1981–82. Rio Ave went on to lose the game 7-0 and this episode was to play a massive part in Félix’s decision to leave for Belenenses that summer. So, while Mourinho was to follow Félix, again, to Belenenses as a contracted player, his contribution behind the scenes was more note-worthy. It set the tone for Mourinho’s playing career: making just 94 appearances as a dogged midfielder in seven seasons for Rio Ave, Belenenses, Sesimbra, and Comércio e Indústria. 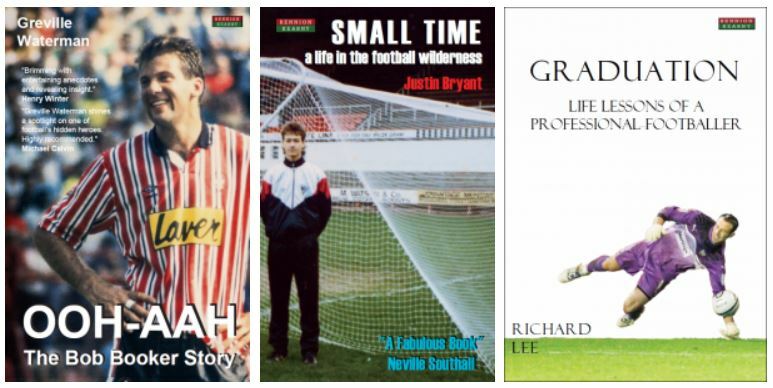 Ironically, though, as Mourinho’s playing career seemingly stagnated in the lower leagues, he was to enjoy the most memorable period of his career – away from his father’s shadow. 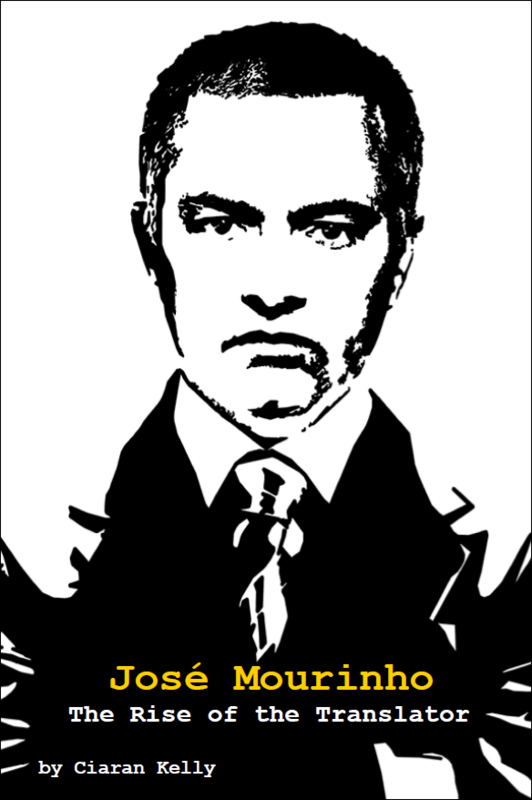 At Sesimbra in Division Three, for example, Mourinho stood out as one of the team’s leaders. Known as Zé to his team-mates, Mourinho had a penchant for incessantly interacting with the referee on the field. However, boardroom strife and a demotivated squad, due to seriously delayed wage payments, inhibited any chance Mourinho had of tasting nominal success in what should have been his pivotal, burgeoning years between 1983 and 1985. With Mourinho’s final club, Comércio e Indústria in Setúbal’s Division 1, the Portuguese had the strongest bond with his team-mates. It was the club, at 22 years of age, where Mourinho realised his level. So, despite the fact he received no wage and had to pay for his own equipment, Mourinho relished the shackles being lifted. From enjoying feasts of boar to all-night drinking sessions – paid for by the club’s Arab president – Mourinho thrived in amateur football. According to one of his then team-mates, Luis Filipe, Mourinho even had a fondness for soaking his coaches by hanging water buckets on top of the dressing room door in a crude practical joke. Unsurprisingly, therefore, these antics meant that Mourinho was an immensely-popular player at Indústria but there was another reason for this heroic status. Following one of their daily training sessions, Mourinho and his team-mate, Dé, were the only players left in the dressing room of the Plaza de Toro. Mourinho was the last to leave and lock-up, with Dé heading to the car park to drive home in his 10-year-old FIAT. As Dé turned the ignition, the car’s engine caught fire and he banged his head after being bumped into the driver’s door. The heat, as well as Dé’s dazed state, meant that the driver’s door would not open. With the passenger’s door close to a wall and unable to open – Dé was trapped. Screaming, and near-asphyxiated, things were looking grim until an alerted Mourinho burst out of the dressing room and rescued his team-mate. If ever an episode was to illustrate the selfless, all-for-one mentality Mourinho was to breed as a manager with his players in the proceeding decades, this was it.